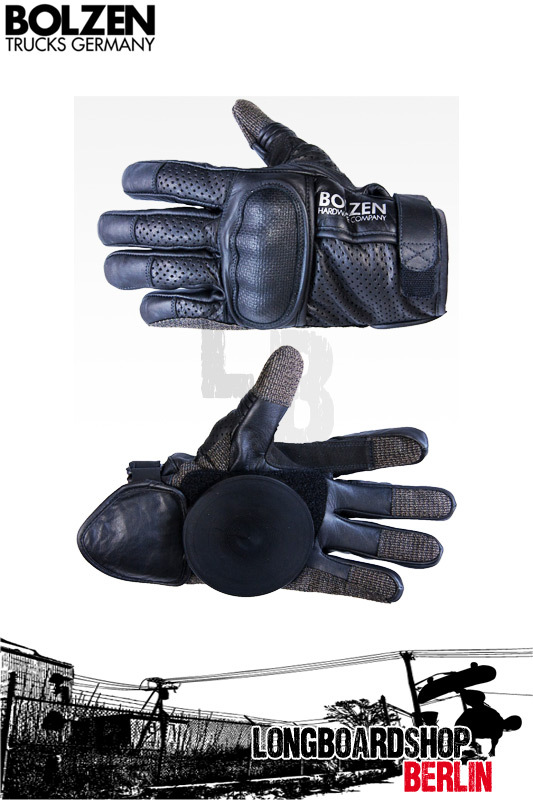 The Bolzen Slide Gloves are made in Pakistan. This is the country where the leading producers from motorsport / racing gloves accrue from. So this is quality you can trust! The included slide pucks are Made in Germany and very durable. A whole DH/Freeride season and more is no problem with this gloves.